Coming in November, Green Flash brewing will ship out Soul Style IPA and Jibe Session IPA. Here’s more below on each brew courtesy of www.thefullpint.com. Confident that the brewing team would develop an outstanding single IPA, the name “Soul Style” refers to the grace of the rarely seen, soul style surfer who leans way back on the board, making each difficult maneuver appear effortless. 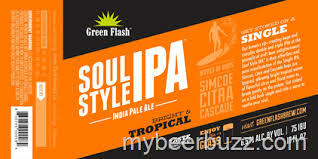 Soul Style is the Green Flash approach the art of crafting the perfect IPA. Citra, Simcoe and Cascade hops are layered to allow bright tropical citrus to mingle with waves of floral notes that break gently on the palate. Soul Style IPA is 6.5% ABV with 75 IBUs. With the wind at their backs, the Green Flash brewers made a sharp change in direction producing “JIBE”. But true to form, the Session IPA was brewed in an extreme way. Green Flash set out to produce to lowest ABV possible and still achieve bold, complex IPA flavor and body. Jibe Session IPA is a 4.0% ABV, 60 IBU “session” beer made with layers of Simcoe, Cascade and Amarillo hops. The flavor profile and mouth feel will satisfy consumer demand for a full-flavored Green Flash interpretation of the popular style. Aroma – Fresh, woodsy pine, eucalyptus, and Oroblanco grapefruit. Flavor – Verdant hop leaf flavors dominate the lean body with a crisp mouth feel and lingering Oroblanco pithy bitterness. We’ve been aging our Schild Brau Amber & Back Road Stout in Cedar Ridge Whiskey barrels for the last 9 months! Now at long last we are bottling them in 22 oz bombers. Look for these very limited batch of barrel aged beers in Cedar Rapids & Iowa City next Friday for a special release. From Oakland Road Hy-Vee and also got a Facebook message from Johncy’s Liquor Store in North Liberty as well. 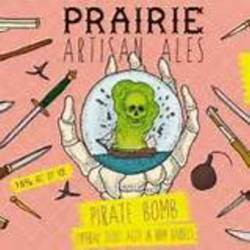 Prairie Bomb and Pirate bomb have landed! We have 2 fantastic beers that have just hit the floor. 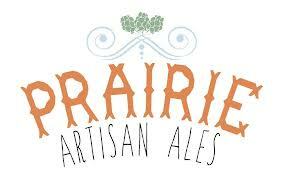 We have reloaded on Prairie Bomb and have received Pirate Bomb as well, which is Prairie Bomb aged in rum barrels. Stop in a grab a bottle while supplies last. Thanks and have a great day. I received the following information from my good buddy sLim and also the link is from dmjuice.com. 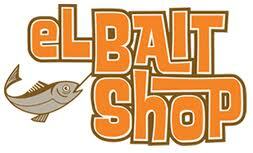 El Bait Shop looks like they will be opening an all Iowa craft beer restaurant with 75 Iowa beers on tap and serve Iowa food products. Here’s the original article from dmjuice.com. Full Court Press is known for its great beer bars with international themes like The Royal Mile (British) and Hessen Haus (German). For its next project, the group is aiming a little closer to home. The Iowan Craft Beer Hall will feature more than 75 Iowa beers on tap and serve predominately Iowa food products. Iowa now has more than 50 breweries producing beer, which should provide plenty of beers to choose from. But one thing Full Court Press is still looking for is a location. The group is currently seeking developers to find the right location downtown. Bruning said The Iowan Craft Beer Hall is an idea he and his partners have been brewing up for years, ever since he tried his first Peace Tree beer. Bruning said that Des Moines IPA from Confluence was El Bait Shop’s best selling beer in 2013 and that six out of the bar’s top 10 selling beers were from Iowa. Full Court Press has put on a number of beer events, including Oktoberfest, the Little Giant Beer Summit and Des Moines Beer Week. The Iowan Craft Beer Hall is not affiliated with the Iowa Craft Beer Tent. 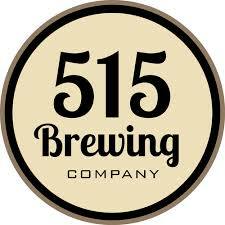 515 Brewing (Des Moines), Albia Brewing (Albia), Backpocket Brewing (Coralville), Boone Valley Brewing (Boone), C.I.B. (Chefs In Black) Brewery (Carson), Confluence Brewery (Des Moines), Exile Brewing (Des Moines), Firetrucker (Ankeny), Granite City (Clive), Great River (Davenport), Kalona Brewing (Kalona), Keg Creek Brewing (Glendale), Madhouse Brewing (Newton), Millstream Brewing (Amana), New American Brewing (Ankeny), Peacetree Brewing (Knoxville), Rock Bottom Brewery (West Des Moines), Sutliff Cider (Lisbon), Toppling Goliath Brewing (Decorah), Twisted Vine Brewery (St Charles), Van Houzen Brewing (Newton), West O Beer (West Okoboji) with more to be added in the future. The following article comes courtesy of Chicago Tribune writer Josh Noel. Another Black Friday release should see beer lovers hitting the liquor stores early! Cheers! Goose Island has finalized its roster of 2014 releases in its vaunted Bourbon County Stout series, all of which will be released, as usual, on Black Friday. This year that lands on Nov. 28. Beergraphs.com lists seven of the world’s top 20 beers as from the Bourbon County Stout series. The rankings may be due for a shakeup. 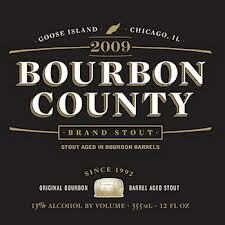 Bourbon County Brand Stout: Same recipe has always, this bourbon barrel-aged stout will be available nationally in four-packs. Proprietors: The second annual release under the Proprietor’s Bourbon County Brand Stout will feature panela sugar that’s made into a syrup with coconut water, Cassia bark (which is essentially cinnamon) and cocoa nibs. (Last year’s version, a stout aged in rye whiskey barrels with toasted coconut, might have been the brewery’s best release of 2013.) Available only in Chicago, in 22-ounce bottles. Vanilla Rye: Goose’s previous stab at a Vanilla Bourbon County Stout beer, in 2010, remains one of the brewery’s most-lauded beers ever. A return seemed inevitable, and here it is — sort of. This incarnation is aged in rye whiskey, instead of bourbon, barrels. Goose is using barrels from four different distilleries, then blending the results before bottling. Each rye barrel is aging with two pounds of vanilla beans from Mexico and Madagascar. There will be limited nationwide availability in 22-ounce bottles. Coffee: An annual staple, but with a different coffee infusion every year, the 2014 incarnation features Rwandan coffee from Intelligentsia. Available in four-packs nationally. Barleywine: This beer debuted last year and will be similar to the original, featuring “third use” barrels — former Kentucky bourbon barrels that later housed Bourbon County Stout before hosting the barelywine. Available in four-packs of 12-ounce bottles. The following information comes from Boulevard press release and also http://www.beeradvocate.com. Really excited to try this one! Boulevard Brewing (Kansas City, MO) recently released the first offering in their new Backroads Series, Entwined Ale. 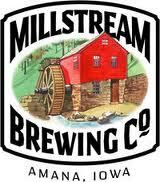 The series is described as “journey off the beaten path.” A little fun for both the drinker and the brewer. 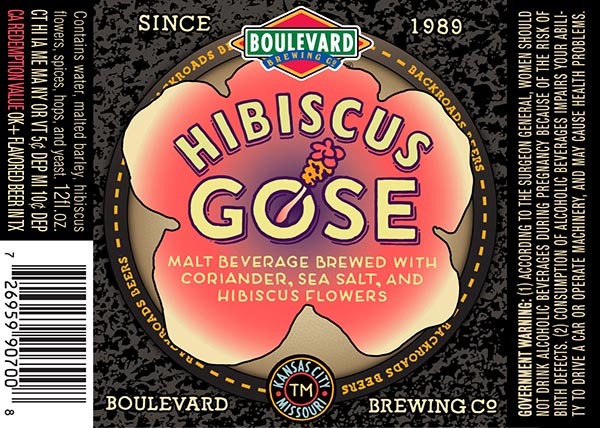 Poised to be the next release is Boulevard Hibiscus Gose. The German-style salt beer uses hibiscus flowers, coriander, and of course, sea salt. Expect Boulevard Hibiscus Gose in 12oz bottles. Join us for a brewer-led beer tasting this Sunday. Purchase a brewer-designated beer flight between 1:30 – 2p with the tasting starting at 2p. (4-5oz pours for $8). Our brewers will talk about each selected beer and answer any questions you have about the beer or the brewery. I’ve told my wife if I could open up any type of restaurant or bar it would be a charcuterie, cheese and beer store. Food and beer go hand in hand and at Brix Cheese Shop and Wine Bar in Iowa City, (209 N. Linn St.) they have a huge selection of great cheese and meat pairings. Obviously, as the name of the restaurant implies, they have a massive selection of fine wines. Unfortunately, the Baron doesn’t really know a damn thing about wine, (I enjoy it, just don’t know much), but I did notice that they had 6 craft taps. After talking to the waiter, who was wonderfully patient with me and knowledgeable, he said they always carry a Toppling Goliath brew and are constantly rotating their taps. I went for a Destihl Brewing stout and on the recommendation of the waiter, ordered the Monger’s Choice which ended up being half a sheeps milk and half a goat’s milk halved with some sort of ash consistency that paired great with my beer. Along with some strips of pancetta and crunchy, chewy bread, I was in heaven. Along with the great meat and cheese selections they had a huge menu full of sandwiches as well. This is going to be a stop I make frequently when in that area of Iowa City. Very impressed with the staff and selection and even if you don’t know much about wine, they have some excellent beers on tap as well. I can’t wait to get back! Cheers! Perennial Artisan Ales has announced a collaboration with New Belgium Brewing out of Fort Collins, Colorado. The new edition, a Salted Belgian Chocolate Stout, will be a part of New Belgium’s Lips of Faith series to be released later this year. The collaboration itself, as Emily Wymore of Perennial explains, is the result of friendship. Lauren Salazar is the Wood Cellar and specialty brand manager at New Belgium as well as a good friend of the Perennial crew. Wymore explains that Salazar approached Perennial last year about brewing together for their Lips of Faith series, and Perennial was quick to accept with what Wymore describes as both honor and excitement. Considering Perennial’s previous success with stouts, Salazar suggested they work together on “a stout with a twist.” Together, the two breweries decided on a Salted Chocolate Belgian Stout. According to Wymore, both breweries then brewed a test batch and decided on a final recipe, which co-founder Phil Wymore and head brewer Cory King will brew alongside New Belgium staff this August in Fort Collins. In addition, Salazar will join Perennial in October to celebrate their third anniversary and brew the collaboration on Perennial’s own system. Wymore and the Perennial crew see this opportunity as unlike many they’ve come across, especially considering the vast reach of the New Belgium audience. 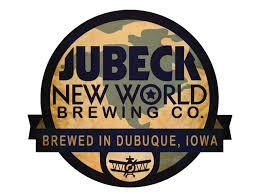 Jubeck’s New World Brewery opening in Dubuque July 17th! A light hybrid session beer of blondish gold hue with a slight honey-like sweetness and a mild herbal hop character. A delightfully refreshing light wheat ale with a subtle spicy herbal flavor. A bold imperial stout with a full-bodied, roasty, malty flavor. Wonderfully dark and slightly roasty, but not too much roasted malt bitterness. American pale ale style beer finished with a healthy dose of citra hops and dried apricots, added late in the boil, for a subtle fruity flavor.